Every fighter has to start somewhere. Promoter Jim Jenkins and his partners at the MMA Sport Federation are committed to giving fighters a launching pad. "There are new guys coming up that need a chance." Jenkins said. 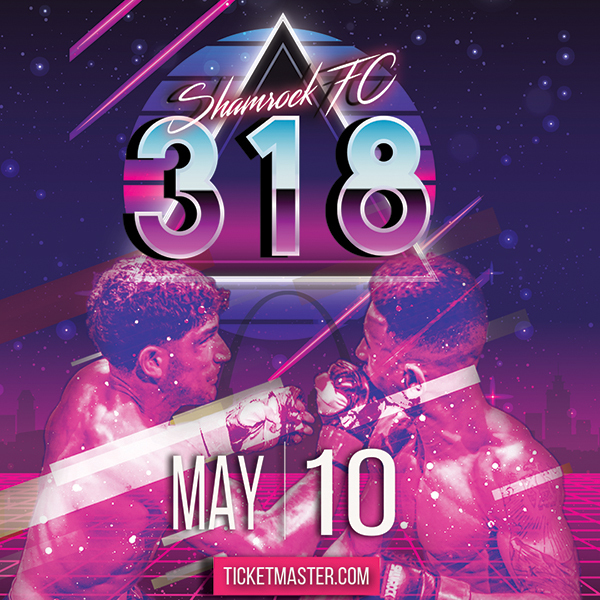 And that seems to be the theme of the night for Friday when MMASF returns to their familiar stomping grounds at the Heart of St. Charles Banquet Center in St. Charles. "We got a lot of guys that are going to get tested." Jenkins said. "Seven undefeated fighters with at least 2-3 fights." Jenkins, one of the area's longest running promoters, takes great pride in giving back to the sport and is eager to be a positive influence in the formative years of young fighters. Bantamweight Erion Zekthi is a recent example of Jenkins' handywork. Zekthi competed six times for Jenkins before graduating to a main event slot at the April Fight Hard MMA event at the Family Arena. "That's the beauty of this sport is to watch these guys grow." Jenkins said. "We're doing the best we can to help these fighters get better. It starts with being matched with guys on their level." In addition to the 12 fights on the card, a fundraiser will be held for the family of Mike Bryant to assist with funeral expenses. Bryant had over 25 fights between the ages of 18-21 before an accident that left him paralyzed. Bryant fought a handful of times for Jenkins and Jenkins felt obligated to take care of "one of our own". The evening's scheduled main event is between two undefeated lightweights. Chris Petty from Cape Giraredeau has competed twice for Jenkins and will be taking on Reggie Evans from Xplosive MMA. Recently, Evans defeated original main event participant Dustin Hesse by TKO'd. Due to the fact Hesse is suspended for 30 days, Evans took his spot in the night's main event setting up a great match-up between two local prospects. Ace Anderson has been making some waves in social media and is looking to make a name for himself in MMA. He will have his hands full Friday with Kevin Roper. Roper (3-0) is out of Clay Mitchell's Generation Studios in Carlyle, IL. Roper wrestles at Lincoln College, the alma matter of former Bellator and RFA pro EJ Brooks, and has a solid ground, but has yet to show off his stand-up. The winner of this fight will be in a line to get a crack at the unified 185 belt. Brendon Siedelman and Cort Wahle round out the main card. Wahle trains at the War Room in Woodriver, IL and is teammates with Brandon Lowe, who was victorious this past weekend winning the unified lightweight belt. Nineteen year old Wahle is one of the area's rising stars with only a decision loss to Erion Zekthi being the lone blemish on his record. Wahle will take on Brendon Seidelman from Dan Hornbuckle's American Top Team Warhawks in Champaign, IL. Anthony Boyd from Absolute Martial Arts will take on Seidelman's teammate Keith Shields, who is also from the American Top Team. Trevon Crawford from the Danger Room battles Bart Johnson from Generation Studios in an exciting undercard match-up. Original Artwork by Jan Speelman-Jenkins.